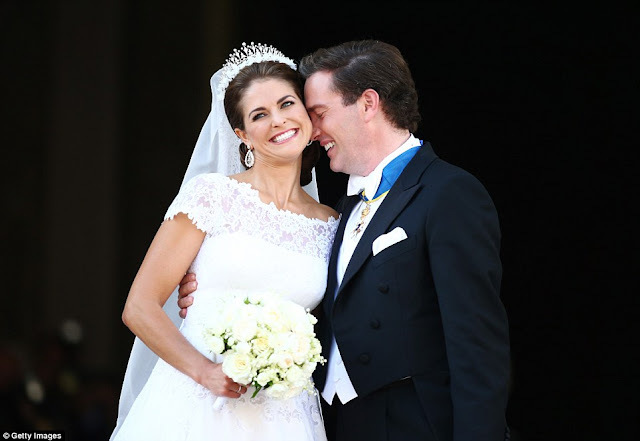 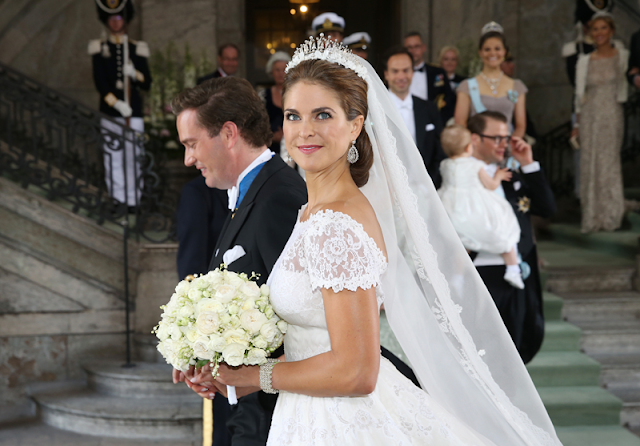 Today, HRH Princess Madeleine of Sweden married British-born American banker Christopher O'Neill at the Royal Palace Chapel in Stockholm and of course it was a glittering social occasion - just what I love! 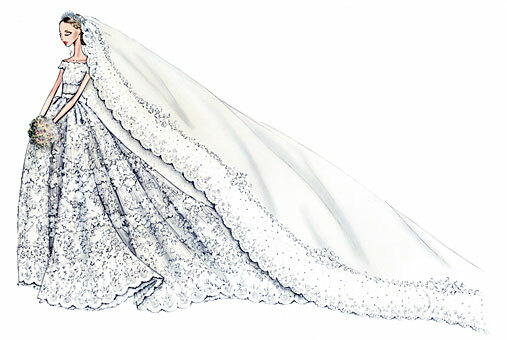 The couple got engaged in October last year. 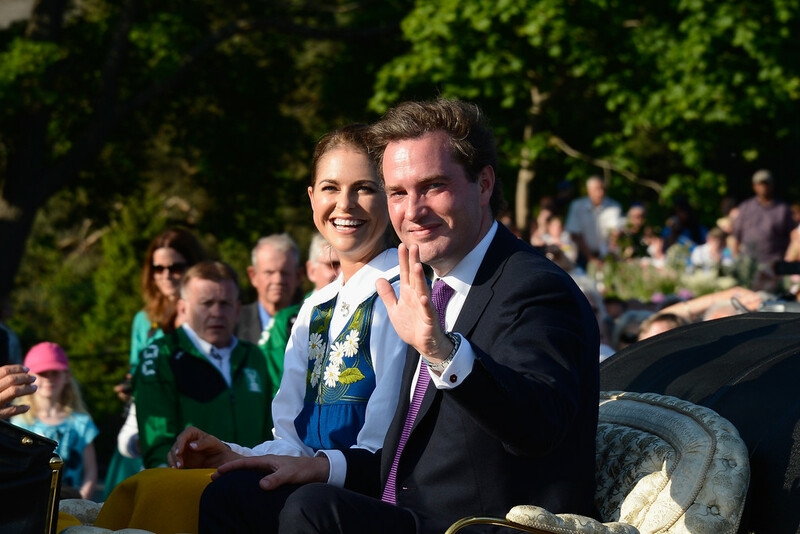 One of my favourite pre-wedding pictures of them was taken very recently, on Sweden's National Day, 6 June. 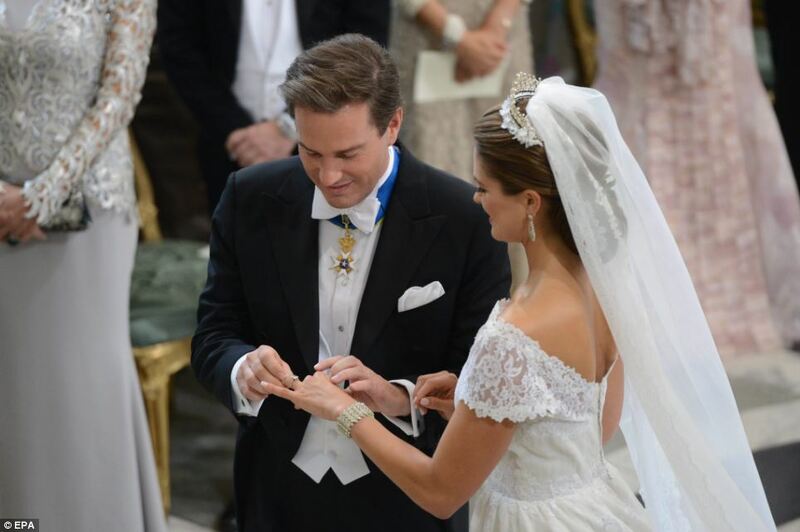 Today, the romance was sealed with a fairytale wedding attended by European royals and the cream of New York society. 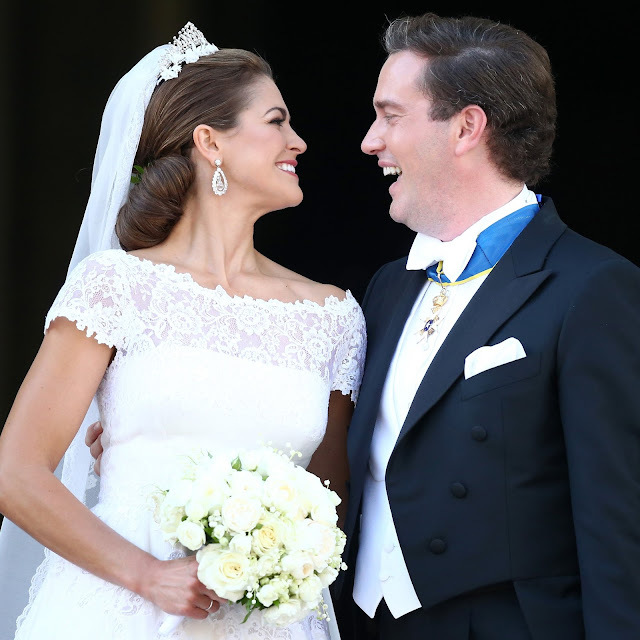 The bride dazzled in a bespoke gown by Italian couturier Valentino Garavani, made from pleated silk organza with appliquéd ivory-coloured Chantilly lace, completed with a silk organza veil scattered with small Chantilly lace orange blossoms held in place by the fringe tiara. 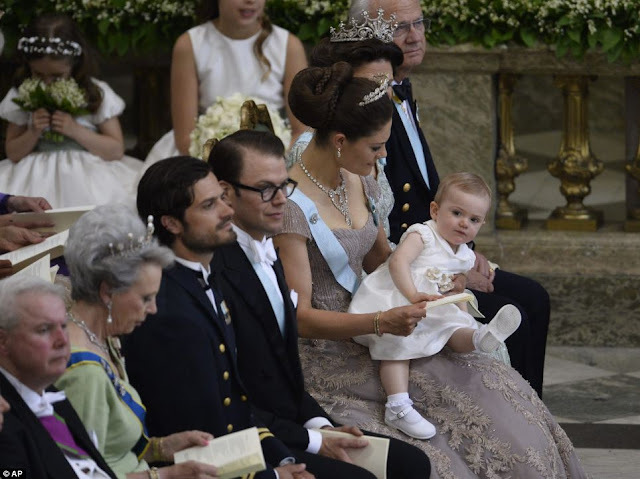 15-month old Princess Estelle had her very own miniature gilded chair. 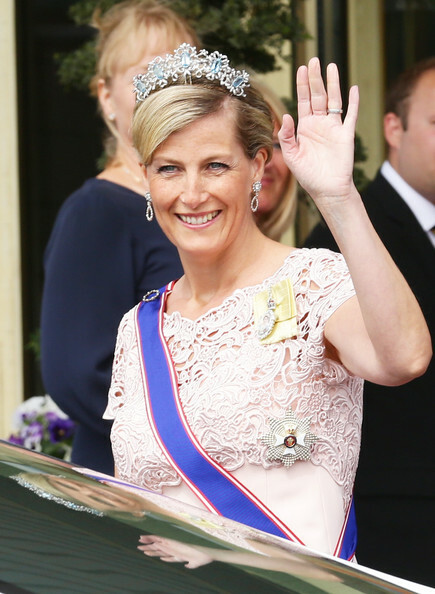 Her mother the Crown Princess wore Princess Lilian's tiara and corsage, with the Order of the Seraphim on a ribbon with Grand Star. 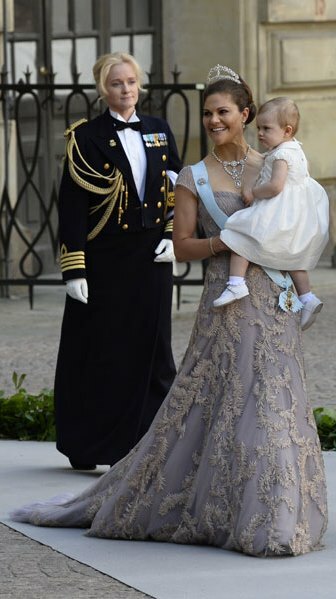 Princesses Mary of Denmark (left) and Mette-Marit of Norway (right). 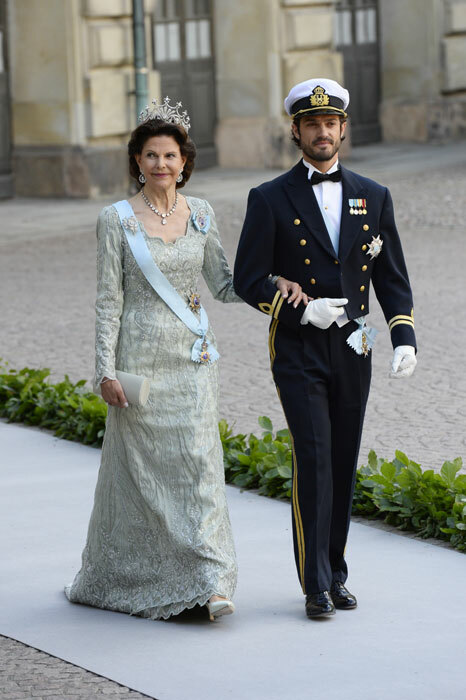 The bride's mother, Queen Silvia, in a jade-coloured silk organza dress with train, accompanied by her son Prince Carl-Philip, in the mess dress of the Swedish Amphibious Corps, of which he is captain. 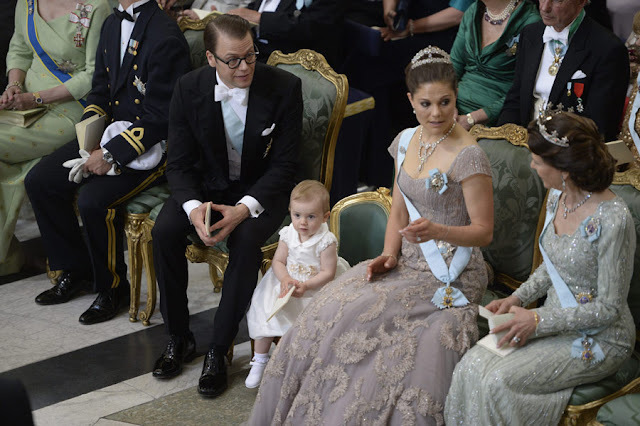 Full lenght view of Crown Princess Victoria's dress, a greige-rosé creation with aubergine accents. 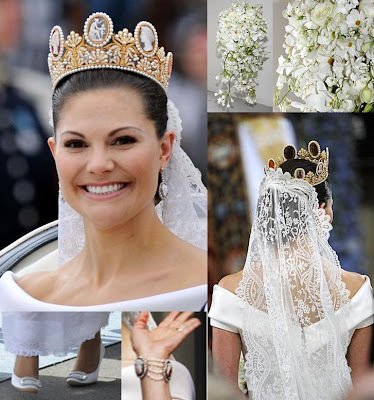 On the whole, I must say I much preferred Princess Madeleine's dress to the one worn by her sister Crown Princess Victoria on the occasion of her own marriage to Daniel Westling on 19 June 2010, particularly because I've never been a huge fan of the Swedish Cameo parure she sported on that occasion.